MOSCOW, July 18. /TASS/. 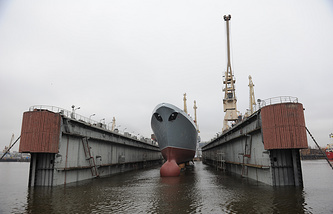 The Project 22350 lead frigate Admiral Gorshkov is expected to be delivered to the Russian Navy a day before the Main Naval Parade in St. Petersburg, President of Russia’s United Shipbuilding Corporation Alexei Rakhmanov told TASS on Wednesday. 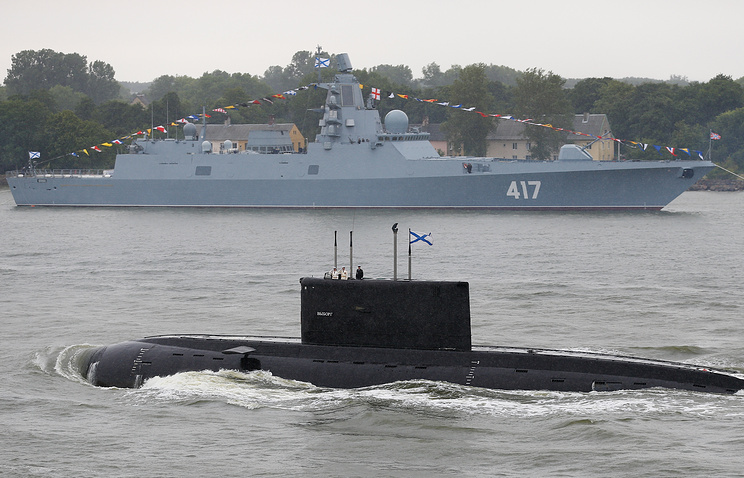 "Yes, the fleet has such thoughts," he said, responding to a question about whether the St. Andrew’s flag would be hoisted aboard the Admiral Gorshkov on July 28 on the eve of Navy Day and Russia’s Main Naval Parade timed for this event. Now the Admiral Gorshkov is undergoing the coating of the hull and the superstructure for the naval parade, Rakhmanov said. 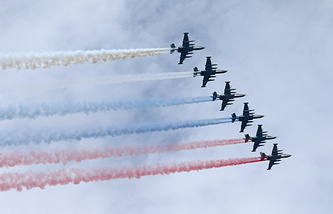 Russia’s Navy Day is traditionally celebrated on the last Sunday of July. The Project 22350 frigate Admiral Gorshkov was laid down in early 2006 and put afloat in the autumn of 2010. The warship started undergoing trials in November 2014. The final stage of the frigate’s state trials started on March 20, 2017. Project 22350 warships displace 4,500 tonnes and can develop a speed of 29 knots. They are armed with Oniks and Kalibr cruise missiles and Poliment-Redut surface-to-air missile systems. Overall, the Russian Navy is expected to receive six frigates of this type by 2025. As Russian Defense Minister Sergei Shoigu said, warships like the Admiral Gorshkov will become the mainstay of the Russian Navy in the imminent future.